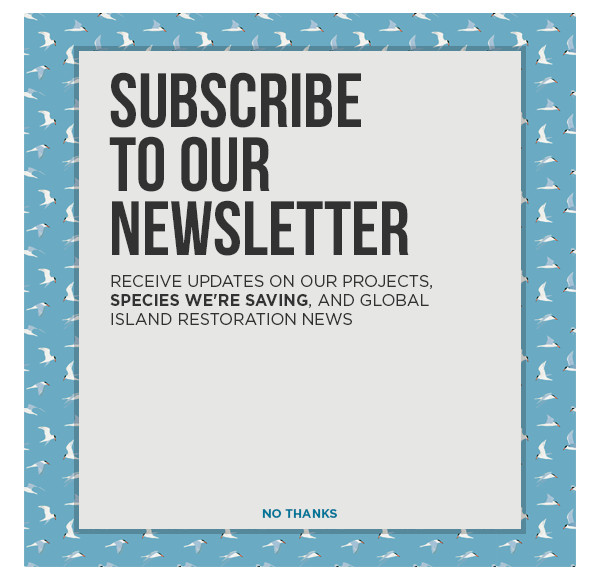 Island Conservation Restoration Specialist Cielo Figuerola shares some very good news for iguanas of Mona Island, Puerto Rico. Last week we came back from our third trip to Mona Island, where we continued removing invasive Australian Pines to increase and improve nesting habitat for native iguanas on the island. This project was developed by the US Fish and Wildlife Service through the Coastal Program, the Department of Natural and Environmental Resources of Puerto Rico (DNER), and Island Conservation, with the support of the local NGO Vida Marina. Despite some challenges, the excursions were successful and we have met our goals for each trip. So far the team has removed 36 pine trees and over 500lbs of pine needles and debris in 15 days of work! Iguanas are already nesting in one of the plots! We documented three nest attempts and 3 nests in progress in an area that, prior to pine removal efforts, had five pine trees growing and a pine needle carpet five inches deep. In the five years I have been conducting nest surveys, I have never seen a single nest in this area. Our efforts are directly translating into the results we were hoping to get, and almost immediately. These results clearly show how important and needed these new nesting sites are for iguanas on the island. Our efforts are directly translating into the results we were hoping to get, and almost immediately. 1) We need to determine the extent of another invasive plant growing in potential nesting areas: the Limeberry (Triphasia trifolia). There is no baseline data for this species on the island and we want to map their distribution and dispersion limits to date to start understanding what can be done to control its dispersion. 2) We also need to remove pine trees in areas where pines were girdled in the past, as opposed to the areas we have been working in so far. There is a section of pine forest that was girdled in the early 2000s and the pines that eventually died from the girdling are still up, with a substantial amount of dead branches, debris, and pine needles – we want to remove that so iguanas can use these spaces as well. The volunteer group Vida Marina, which has been accompanying me in the field to help and remove the pine trees has been AMAZING! I can’t say enough about this outstanding group–without their commitment and extremely hard work, this project would not be happening! Our next trip is in September, after the iguanas finish building their nests. Stay tuned for further updates!